the Year of the Earth Pig starts on February 5th, Lunar New Year. Review your home’s chart before then to harness the luck of the new year and position yourself for success instead of unexpected difficulties. Here is my read of the energy of the year. According to Chinese Astrology, people born in a year of the Pig are charismatic, kind, artistic and easy going. They are very sociable, have strong humanitarian spirit and always try to bring peace and balance to a disputable situation. Because the Pig’s main element is Yang Water, people born under this sign are creative and diplomatic. They value good entertainment, good food and luxurious things. They can overindulge at times, but because they desire good things in life, they typically figure it out how to make money. So overall it looks like the year is very suitable for pursuing travels, creativity, lots of sociable and family activities and treating yourself with some luxurious things, if that’s what you desire. This is the last year of the 12 year cycle, so it is good to enjoy the fruits of your hard work and give yourself some time to rest and reflect. The next year 2020 is the year of the Rat and the beginning of the new cycle, so hard work and new beginnings will be more in line with the flow of the energy then. However 2019 is the year of the Yin Earth Pig and a more in depth look reveals some hidden problems. According to the Five Elements Cycle, Water and Earth are in a destructive relationship, so this will mean less harmony and more tension in the year. Earth destroys Water and Water is a foundational element of the year therefore many affairs will have poor or unstable foundation this year. There is a potential for some land-water related natural disasters such as flooding, tsunami and earthquakes. This year the existing political conflict will likely keep escalating as there is no solid foundation for peace and harmony. This will be reflected in political and social group’s conflicts and difficulty in coming to a resolution. With the awareness of this it would be a good practice to employ some extra diplomacy and patience with each other. There is no Fire element in the yearly elemental composition which translates to less confidence and enthusiasm, emotions that typically drive stock markets, so they will be very volatile or not growing. The main element of the year is Water and Water relates to fear which is an attribute of a Bearish market. The animal signs that are most compatible with the Pig are Rabbit, Goat and Tiger. These will have a more harmonious year. The animal signs that clash with the year are Pig itself and Snake. People who are born in years of Pig and Snake will be drawn to do some changes and big moves such as moving the house or office, changing jobs or traveling. These activities will be supported so go with the flow if something like this is in the works for you. However this is based only on the year of birth. To have a better understanding what the year might bring it is best to do your Four Pillars or Bazi astrology which is based on your year, month, date and time of birth so it is more personalized and precise. The Flying Star this year will give some extra support for health and wellbeing of families as the most auspicious Prosperity Star #8 will occupy the center of a building. If the center of your home is an open space, not a closet, you will benefit the most, as this energy will be easily distributed throughout the house. In general the year will benefit men more than women. Women will have to take some extra care of their health and monitor their stress levels. If you had your cures placed for 2018, remove them at the end of January or just a few days before February 4th. If they worked well for you then it’s likely that they absorbed some negative energy and should be discarded or recharged to remain effective. Read my previous blog on how to renew your cures. You can place new cures any time on or after February 4th. 8-The Most Auspicious Water Wealth Star is visitingthe centerthis year. This is very good news because center of a home or business represents the health and wellbeing of the household or company. Therefore this Wealth Star has a potential not only to bring wealth, new opportunities, success and happiness, but also support health, wellbeing and happiness. The majority of newer homes have an open floor plan so there is no furniture in the center. If this is the case then you don’t need to do anything, but if you have a wall or piece of furniture close to the center you may want to add bright lights, crystals or gems. Rose quartz would be my favorite in this area as it has elements of Fire and Earth. A picture of a beautiful landscape would work well too. The picture has to be more earthy than woody though. If this is your kitchen, a red ceramic bowl with fruit would be very appropriate. You may also put a family picture and light a candle once in a while there if it suits you and the space. Plenty of options here. I strongly believe if we place a few meaningful things like these and combine it with our intention for the wellbeing and happiness for the family, this special energy will emanate throughout the house, neutralizing any negativity. 9-Future Prosperity Multiplying Star will reside in the NW. This Star relates to fame, happiness and future prosperity. NW relates to the father or patriarch of the family, also a breadwinner, male or female. 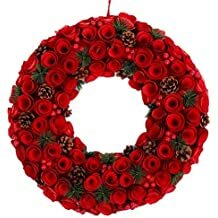 It is a Fire Star so anything red is appropriate, but the element of the NW is Metal so do not over decorate this area with reds, introduce just very moderate amount of reds. You can place 9 coins there or any symbol of wealth that is meaningful to you. Creating a Wealth Altar and lighting a candle or offering incense there is a good practice as well. 1-Lucky White Star will be flying to the W. This Star relates to career, promotion and business success. 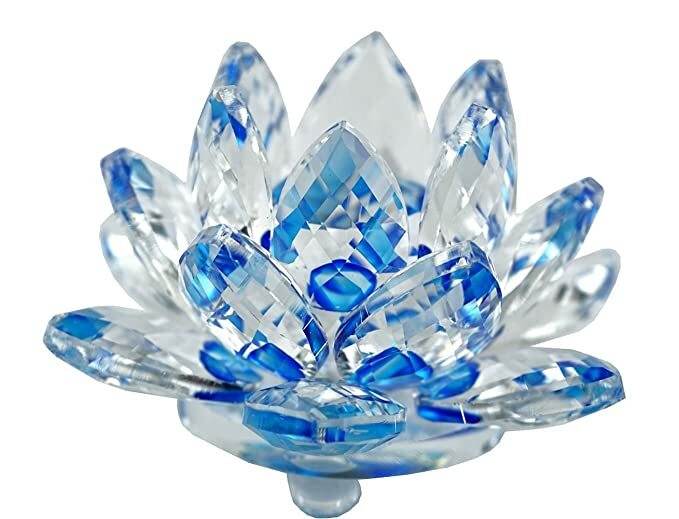 It is a Wealth Water Star and energy of the W is Metal so it is in harmony with the direction, but I would not recommend placing too much Water there as it will diminish the Metal energy of the Bagua area of Creativity and Children. If you have other Water Wealth stars (not annual, but permanent) such as 8 or 6 then Water is fine there. If you don’t then place a faceted crystal in the window or do nothing. There is another visiting affliction in the W called Three Killings which is not so auspicious. Please see more on it below. 6-Favorable Heaven Star moves into the E. This star brings luck and good fortune, especially of a speculative kind, for example, investment luck. The nature of the E is Wood and this star is of a Metal nature. Metal cuts the beneficial Wood in the E so you don’t need to do much to activate 6 but if you’d like you can add Six Coins, hang a crystal in the window or place a peace of white quartz there. 4-Romance and Scholastic Star is in the North this year and also not in total harmony with this direction. This Star brings new romantic opportunities and luck to those pursuing studies. This is a Wood Star, Wood will support the Fire energy and the native element of the North is Water. So the best way to enhance your romance luck would be placing a meaningful object rather than a plant there. 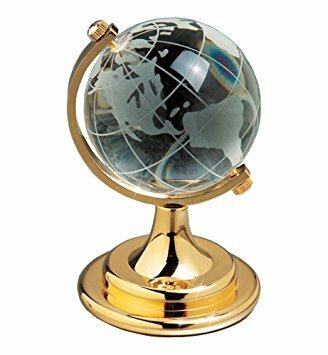 And if you need to get extra support for your kids’ studies you can add an object that represents achievements in education. 5-Yellow, the most malevolent Star visiting SW this year. This influence is associated with troubles, financial loss, illness, accidents and obstacles. SW relates to the mother of the family, or female in general and therefore may bring some difficulties for women, especially health related. This is why it would benefit women this year to take extra steps to support their health and consciously reduce the amount of stress because stress is the number one immune system suppressant. It is a Yellow Earth Star, therefore the ill effects are neutralized with a strong Metal element. 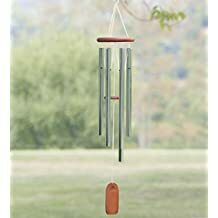 The best way to diminish this influence is to hang a large to medium size six-rod metal wind chime outside on the SW side of your property. If SW is the direction your house is facing or, if your front door, kitchen or back door are in the SW, you may need some additional cures and balancing of the Five Elements. If your bedroom is in the SW and you have some health issues, it is advised to move into an alternative bedroom if at all possible. If your front door is in the SW and you have an alternative door then use that door more often. Additional remedies include the Five Element Pagoda, Six Coins, Wu Lou, metal clocks or metal vases. You don’t need all of them but if you spend time in the SW room choose one or two that resonate with you the most. Remove Earth and Fire décor elements from the SW. The Water element and a few plants are fine there. It is advised to keep the area quiet and do not do any remodeling or construction or digging the earth in the SW to disturb the energy. Planting flowers is ok, but do not plant too many red or yellow flowers. Blues or whites are best in the SW this year. 2-Illness Star will occupythe NE sector of a building this year. It is a Black Earth Star so Metal element is used to absorb its influence. Traditional remedies include Wu Lou, Six Coins or a medicine Buddha.You may use a metal vase or any metal statue of a deity of your spiritual tradition.Talismans and spiritual objects work best if you have a connection to them of some sort or some positive emotional response to them.Avoid using Fire and Earth elements in the area this year as they will strengthen this malevolent influence. It is advised to keep the NE quiet and do not do any remodeling or construction to disturb the energy. People often ask me if painting of the room is ok when there are annual afflictions stars visiting the room. Yes, it is fine to paint, unless the color you want to use there is on an intense side and in the range of reds or yellows. If your bedroom is in the NE and you have some health issues, it is advised to move into an alternative bedroom if possible or remedy it well. If your front door or family room or kitchen is in the NE, you may need additional cures. 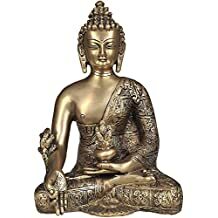 Also NE is the youngest son’s or generally a yang male area of the Bagua, so if your son’s room happen to be in the NE place a metal wall clock or six coins in his room. 3-Argumentative Star flies to the S this year. It is a Green Wood Star and can bring arguments, stress, misunderstandings and legal problems. If your bedroom is in the S expect more arguments and tension. The Fire element is used to counteract this influence. Since the nature of the south is Fire it is good news, because this Star’s negative influence will be partially diminished. But if this is an important area such as your front door or room where you spend time you may need to use some additional balancing there. Placing a bright lamp or something red in the area, whichever is appropriate, will be beneficial. If you are currently having some litigation then you may need some additional cures and considerations. 7-Loss Star moves to the SE.This Star brings tension, stress, and even robbery. It is a Metal Star, therefore it will diminish the Wood element of the SE. Because the SE relates to Wealth it is not a very desirable scenario to have the Loss Star in the area as it may contribute to Wealth loss. The Water element will minimize this influence. Using the color blue in the SE this year will help to minimize this influence as well. One of the traditional cures is a pair of rhinoceroses as they considered to be water animals and protectors. 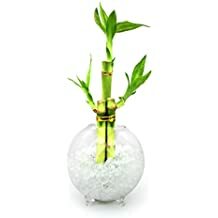 A very good cure this year in the SE is 3 bamboo stalks in a clear glass vase. Make sure it is healthy looking bamboo. Avoid sitting in your office facing E this year since your back will be exposed to this negative influence. Three celestial guardians or one Pi Yao are used to suppress this affliction. Grand Duke Jupiter (Tai Sui) is in the Northwest 3 (322.5°-337.5°). 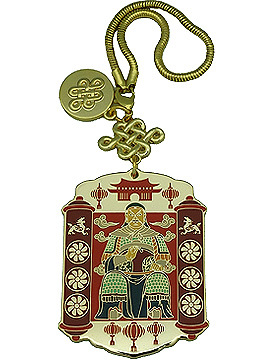 Display a Tai Sui talisman in the room that is affected or carry it with you if you are born in the year of the Pig, Snake, Tiger and Monkey. It is recommended not to sit facing NW this year. Both afflictions can bring legal problems, accidents and potential injuries and they are not to be taken lightly if your front door, office or bedroom are in those sectors. It is advised to avoid renovation or substantial construction in these areas. Note: I am not teaching my annual Feng Shui Flying Star seminar at Circles of Wisdom this year but I am available for in person and remote consultations. For those who like to do it themselves hope this article provides some good guidelines. My warmest wishes to you and your families and Happy New Year! Natalia Kaylin is a nationally recognized feng shui consultant, educator and expert in creating inspiring and supportive environments.